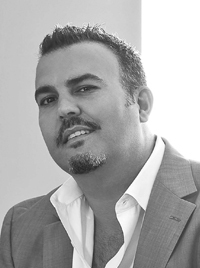 David Di Meco began his career as a furniture accessory designer and manufacturer. His varied career is centered in Italy but spans USA, Germany, Poland and China where he develops his own signature items. His people & functional entertaining design approach aims to make the experience of objects and environments more meaningful, functional and beautiful. 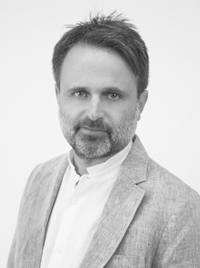 David is best known for his creative consulting & functional furniture and accessories designs for global international retailers and hotel groups. His best-known projects are the zero-gravity recliner, euro side-mount umbrella, 5pc outdoor daybed, Towel Valet, euro ironing systems & Spazio LED lanterns. The functionality, ease and immediate global acceptance in his designs have become his calling card. Eran Wohlfarth has always believed that good design is one that challenges existing perceptions. In 2001, after graduating with honors and receiving his B.Des from the Bezalel Academy of Art and Design’s department of Industrial Design, he founded TA, a multidisciplinary studio that deals with product design and interior design for commercial and hospitality spaces. Since then, he has led the studio in projects for many brands, including Mercedes Benz, Audi, Fiat, Ernst & Young, Amazon, Waldorf Astoria, Isrotel and many others. In speaking about his approach and design language, Wohlfarth says, “My desire in every project or product is always to seek the shortest and simplest way to express beauty, creativity and functionality."